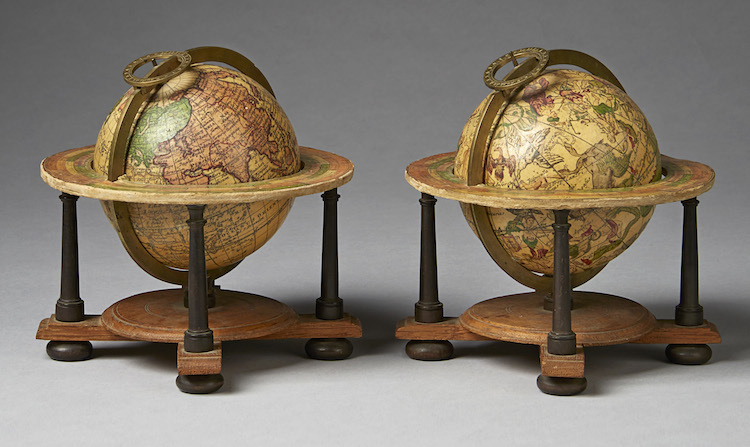 Uppsala Auktionskammare International quality auction on 9th-12th June will be a world sensation as the sale includes the von Siegrothska collection, in which a unique theodolite dated 1566 will be sold, the only one that has ever reached the market. 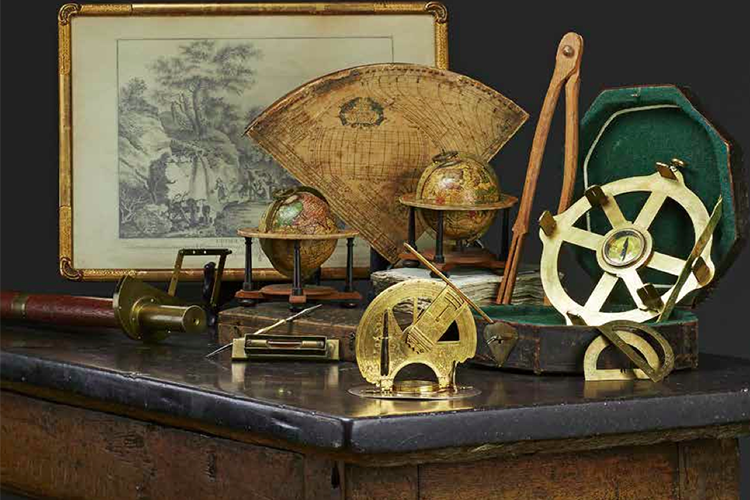 The von Siegrothska collection consists of a number of scientific instruments from the mid 1600s onwards, which were used for teaching at the War Academy. The then Major General and Lieutenant General Gustaf Adolf von Siegroth possibly acquired some of the instruments, including the theodolite when his regiment was in garrison in the town of Landau. von Siegroth came to Landau in 1778 to institute a military academy at the Royal. He donated to the Södermanland regiment in Sweden his collection for the purposes of regimental military training. The deed of donation from 1778 includes his instruments in addition to donated books, drawings and plans. The collection was then included in the Södermanland regiment officers counter selling on selected parts, including medals, but the instruments were retained for their traditional purpose. The regiment was disbanded in 2005 and the collection was taken over by the regimental officers social club, which is now being sold at auction. In the collection one lot stands out, a theodolite dated 1566. A theodolite is an instrument used for measuring horizontal and vertical angles. 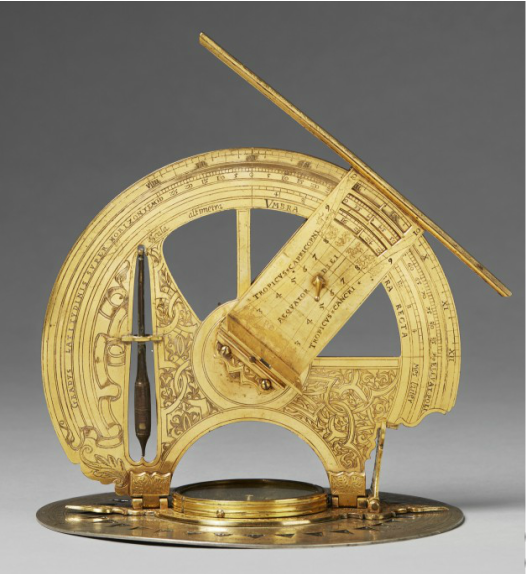 It has a circular base with a compass and a foldable protractor with alidade, which determines the position of an object relative to the observer, is engraved with scales, city name and astronomical characters. The work is done in Munich by Ulrich Schniep and completed in gilded and silvered brass. Theodolites were mainly used in astronomy, a subject at that time which was given much attention. Objects such as these rarely reach the auction market and a collection like the von Siegrothska is very unusual. The said theodolite is one of the earliest known copies and is a distinctive work by Ulrich Schniep.